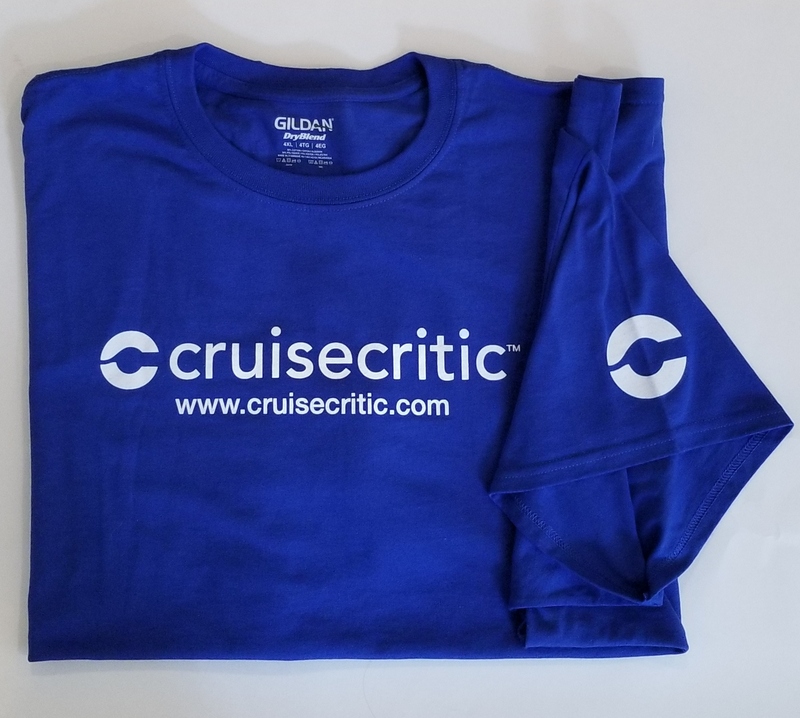 The Cruise Critic logo featured in the center front of these unisex royal blue high quality shirts look great with shorts, skirts, capris and casual pants and are perfect to help other Cruise Critic members find you! The left arm sleeve screen printed with our signature C. This 5.6-oz pre-shrunk tee offers a more generous cut and features double-needle stitching, shoulder-to-shoulder taping and a seamless collar for all day comfort. This T-shirt from Gildan® is made from a 50/50 preshrunk cotton/polyester blend of material with moisture-wicking properties. Now with a heat-sealed label, the tag won't irritate the skin! *There is no design on the back of this shirt.